March Break is coming upon us quickly and with that comes the need for parents and child care professionals to be diligent about monitoring screen time with children. When speaking about screen time, it is not just those personal handheld devices like smartphones and tablets – we are also talking about time spent in front of the television, video games, computers, etc. Monitoring screen time isn’t simply about monitoring the number of hours spent on a screen, it is also about making sure that the conditions are optimal to reduce the likelihood of eye strain, dry eyes and blurred vision. Screen time for children has a significant effect on vision and eye health and it also affects overall health such as sleep quality, ability to learn and ability to develop social skills. Setting screen time limits and guidelines is a great place to start. 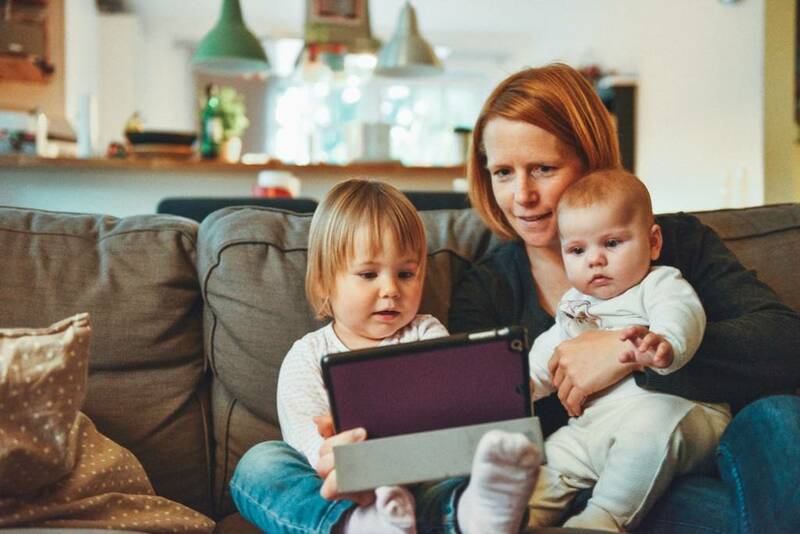 It is recommended that screen time for infants and toddlers under 2 years is virtually none while preschool children are encouraged to enjoy no more than one hour of educational screen time per day. For older, school age children, it is recommended that they are limited to just two hours or less of recreational screen time daily, understanding of course that some of their school day will be spent learning on screens. Encourage your kids to take regular breaks from their screen! Sorry kids…no Netflix binges this March Break! Take a full body break from the screen at least once per hour for a minimum of 15 minutes. And it may sound silly, but make sure to remind kids to blink! Did you know that the average person blinks half as often when they are on a screen than when they aren’t? Insufficient blinking can lead to dry, tired eyes. While you are working to set time limits and guidelines for screen use, it is important to avoid any screen time for one hour before bedtime and keep screens out of the bedroom whenever possible to encourage better sleep habits from a young age. Encourage kids to sit back from the screen! Your mom always said that if you sat too close to the TV, you would go blind – well, that wasn’t entirely true, but viewing from a distance helps to encourage better focus and sharper vision. As always, it is important to remember to book an annual eye exam for your children. Keeping an eye on their overall vision health is a key part of their wellness routine. If you do notice symptoms such as headaches, blurred vision, pain in the eyes, dry eyes or excessive tearing, you should visit your optometrist as soon as possible.